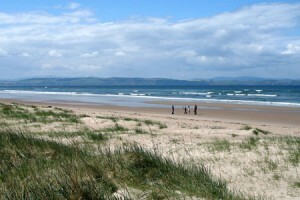 Nairn is best known for its wonderful sandy beach. Just check out the reviews on Trip Advisor. 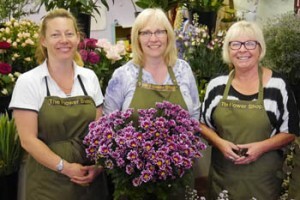 It’s also famous for its two championship golf courses, but it’s the people that give a place personality – those active in the community and busy running their businesses. It’s not just about shop-fronts, business names, trades and services so although this site features a directory, shops and services, its main focus is the people – the people that make Nairn. Marie came to Nairn just over 20 years ago from the West Midlands. 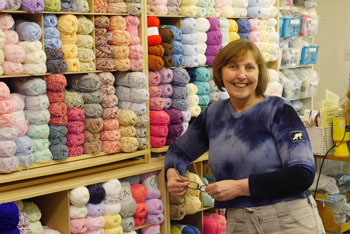 Some 8 years ago she established Caledonian Craft Connections and the business has now developed into one of the biggest wool shops in Scotland. The weekly “Knit and Knatter” is hugely popular as many ladies pursue their latest knitting project, learn new skills – and catch up on the latest hot news! The Studio to the rear of the retail space offers an even larger array of specialist wools, yarns and knitting accessories. Handcrafted items by local crafters and artisans offers the opportunity to obtain truly unique pieces from the Highlands.